Hundreds of motorcyclists from around the country and beyond the borders are coming together from June 5th through the 8th to experience the party that rockets occupancy to 100% in La Peñita de Jaltemba, Los Ayala and Guayabitos. 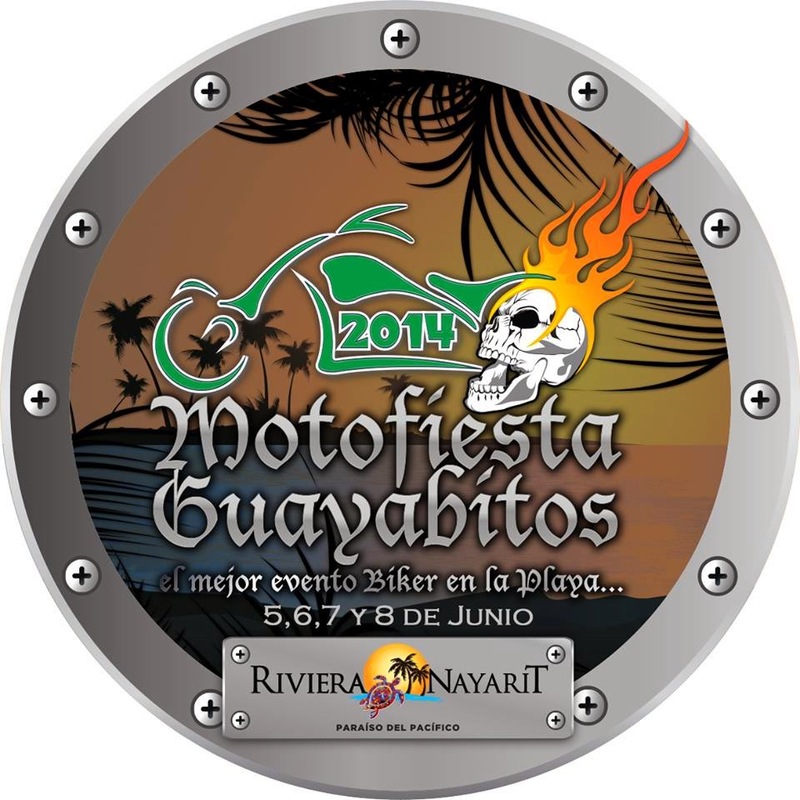 Everything is set to go for the 9th edition of the 2014 Guayabitos Motofiesta 2014. Hundreds of motorcyclists and thousands of visitors will enjoy this spectacle, which will take place June 5-8 in the Riviera Nayarit. This event was born of the desire to give motorcycle enthusiasts a place where they can show off their spectacular machines to the general public and enjoy time together. During the affair the bike with the best airbrush job and modifications will win a prize. Organizer Francisco Cambero pointed out this is one more way to increase tourism to the destination and indicated visitors will ride in from all over the Mexican Republic and beyond its borders. La Peñita de Jaltemba, Los Ayala y Guayabitos are already at capacity for this “motorparty,” which also includes a camping site, as the three thousand rooms in the zone are not sufficient. Beginning on Thursday the 5th, every afternoon will be filled with entertainment in the form of rock concerts, banda music, DJs, biker contests and prizes to the top bikes. The traditional parade heads out on Saturday starting at 5 p.m. When it’s over, the main party gets going. The concerts and events will take place this year on land owned by Duvasa, located next to the river behind the Guayabitos’ tourism offices. The invitation is open to all those who have never experienced this fun event, another one of the many diverse attractions offered by the Riviera Nayarit.